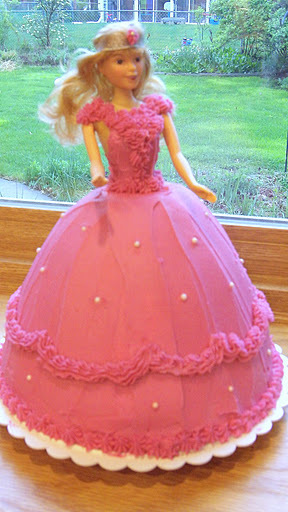 My first attempt at a doll cake for my daughter’s 4th birthday. The proportions are a little off, but the girls didn’t care! 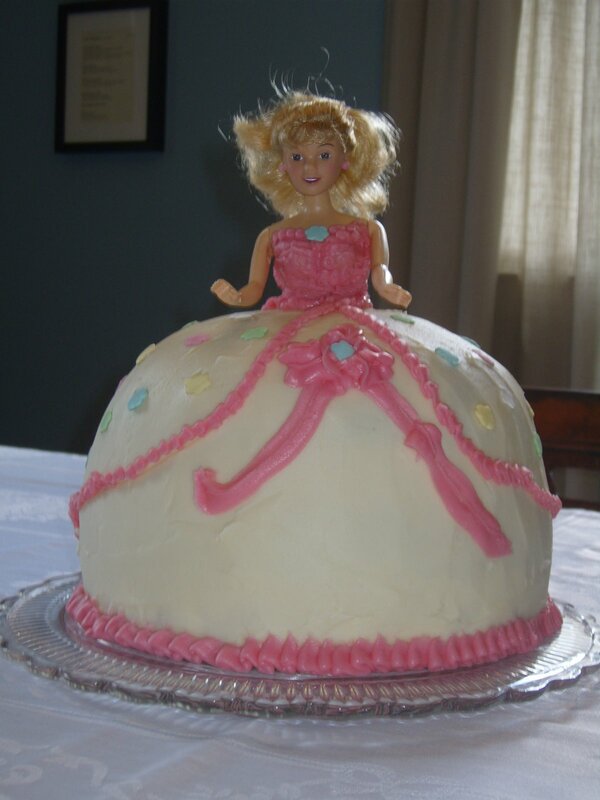 A princess cake for a princess party! This one was fun to make and went pretty quickly! The cake is vanilla with vanilla buttercream, filled with strawberry jam buttercream.